Our organization is the prominent Manufacturer, Supplier and Exporter of high qualityÂ Medister Oxygen Mask (Adult and Pediatric). 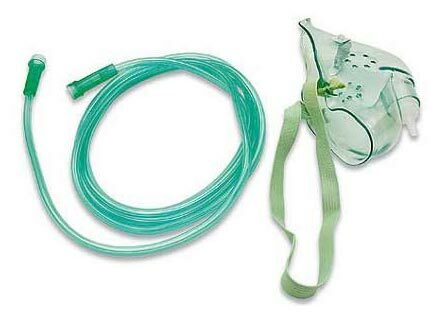 Oxygen Mask is manufactured using nontoxic medical grade PVC materials. Oxygen Mask is designed for convenient oxygen therapy. Oxygen Mask is available with an adjustable strap and offered with integrated nasal bridge for easy installation. Swivel connector for convenience of attachment to the oxygen tube. 2 meter long multi channel tube to ensure continuous flow of oxygen. Proximal end of tube is fitted with soft funnel shape connector for easy connection to oxygen source.